The Creative Forum in Lisbon was produced in association with the Academy for Theatre and Cinema, Lisbon ESTC and Teatro Bando. The use of emergent technologies in how we communicate with each other and our audiences. The use and integration of digital technology to provide other dimensions to performances. The use of a multi-platform approach with these technologies to share and distribute our work. The use of technology as stimulus for the creation and content of work. Lead partner Pilot Theatre livestreamed the event, with people from 20 different countries watching the forum online. You can click below to watch the videos and the speakers, as they offer thoughts and practices for navigating through the shifting digital landscape. Sarah Ellis: Head of Digital Development | Royal Shakespeare Company, Sarah Ellis: What are the new possibilities for culture in the digital age? The second PLATFORM shift+ Creative Forum was hosted at Kolibri Színház on Sunday 19th June and was integrated into their myStory Festival. Creative exploration of technological tools, digital mechanisms and machines. Learning about new delivery mechanisms such as webcast, live streams and sharing content across digital platforms. Developing new ways to make live theatre exist across the web and app based devices. Discover new ideas for facing the digital future. Get inspiration from the scheduled speakers as they offer thoughts and practices for navigating through the shifting digital landscape. The third PLATFORM shift+ Creative Forum was hosted at VAT Teater on Friday 7th and Saturday 8th April. Exploring how technology functions in real life and the influences it has on cultural behaviour and thinking. Experimenting with mobile devices to create and deliver artistic content in partnership with audiences. Space and support to share new ideas discovered during the project and experiment practically. Speaker 2 | Big Data – so what? In the first 3 seasons the Creative Forums took place at a single theatre partner location. In the final season each theatre creates its own Creative Forum at its home location (in 10 European cities). In order to involve young people as audiences/participants in season 3 an International Youth Encounter took place alongside the Creative Forum in Tallinn. In season 4 young people will participate in the 10 Creative Forums fully as performers, co-creators and audience. “Languages, humanities, ways of communication, tools…, living shows have been impacted and, sometimes, transformed by Digital”. Based on the artist Michaël Cros’ research topic for his ÜBM show, we imagined a day of reflection, meetings and practice to question our relationship to the Living (human, animal, plant, microbial …) in a digital world. The Creative Forum Forlì, hosted by the Province of Forlì-Cesena in Piazza Morgagni, is an event aimed at new generations. 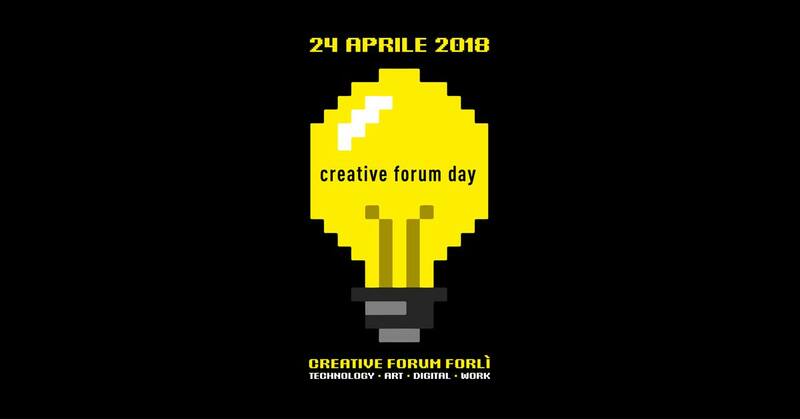 It started in February 2018 with a series of shows presented at Testori Theatre and ends on April 24th with the Creative Forum Day. At this day it will be possible to participate freely in conferences, seminars and practical workshops. The experiences are aimed at gaining new digital and technological skills and the exploration of the relationship between technology and art. Together the participants will reflect the use of digital tools and the impact they have on our lives. Thanks to live streaming the event will not only reach not the local audience but also an international one, thus becoming a global multimedia event. Digital technologies effect all working worlds – including the theatre. And in the digital world, the digital concerns all areas: the art, the processes in the company, communication with each other and with the audience. The Creative Forum will be part of the 10th Saxon Theater Meeting and is inviting the employees of all departments, trades and ensembles of the Saxon theaters to spend an afternoon learning about the developments and possibilities of the digital in the theater – on stage, behind the stage, in offices and workshops. Experts will give an overview of current topics in 30-minute lectures. How can customer data from ticketing be used efficiently to increase revenue and overall seat occupation? What additional earnings potential do innovative (digital) pricing strategies offer cultural institutions? How can I design digital discourses as a theater and involve my target group(s)? What makes a successful theater website? What chances and opportunities do the latest technologies such as social VR / AR / AI offer the stages and the theater of the future? What do theaters need, what do actors need to learn to bring the new technologies to the stage? Digital media practice in the performing arts: what else needs to be done? Why are social media guidelines so important? How does Digital Modernity change the storytelling techniques and contents of the theater? What do digital media have to do with puppetry? What new forms does a theater invent that is digitized? Which narrative of the digital world can adapt a stage drama? Kolibri Theatre organises its national Creative Forum as part of the yearly Assitej-festival in order to give an opportunity to the visitors to learn more about the latest digital technologies, discovering new aspects, questions connected with Internet. The programme will contain three TED style talks from international experts, and two hands-on workshops. The latest experiment of using binaural sound in theatre in collaboration with Teatret Vårt (Norway) and the Small Theatre Ceske Budejovice (Czech Republic) will be presented. In this playful demonstration audience members / participants can visit three different locations with their headsets individually. They’ll listen to pre-recorded soundscapes during their they discover the dramaturgical function in each story. The three short pieces follow the structure of different genres like ghost story and thriller in which sound effects plays the most important role. A moment to talk about the digital world, the new technologies and the way we interact with them and they interact with us. A moment to ask how the media uses the information we use. A moment where national and international speakers become workshop leaders and vice-versa. A moment to reach young professionals and theatre amateurs that have different groups and initiatives and want to know how they can become technically more independent, more autonomous, more comfortable with using digital tools in a DIY mode, without expensive equipment or serial number budgets. 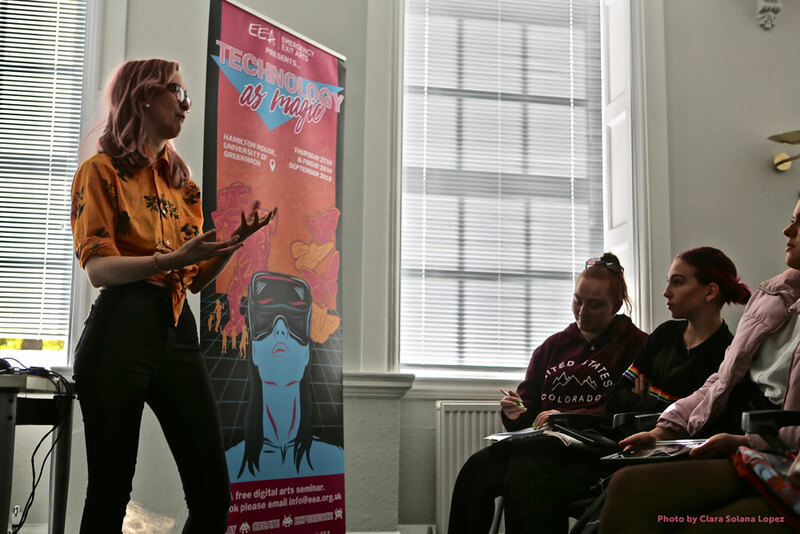 This Autumn Emergency Exit Arts will invite curious people of all ages to our Creative Forum to explore and discover digital technology and its relationship with theatre and the arts. This day long experience fuses together provocations, seminars and practical workshops inspired by the theme “Technology as Magic”. The event will reveal inventive and innovative digital arts practice that enchants people and enhances public spaces. As part of the Creative Forum delegates will be dazzled by industry professionals as they share the knowledge, ideas and magic that leads to the creation of playful, interactive experiences and visual spectacle. Leading practitioners from cross artform projects will unite to exchange secrets and perspectives from the bleeding edge of multimedia storytelling and narrative. Brought to you by Pilot, The British Games Institute (BGI) and York Mediale, this ambitious two-day melting pot of ideas features industry heavy-weight speakers from the cultural and gaming sectors, open discussion and candid sharing, a micro-game jam and exclusive project demos from immersive tech to theatre. As part of a bigger conference the focus will be on new technological possibilities, that schools are trying out. It will talk about success-stories and also about failures and dangers in that field. The Creative Forum will open more the theme of creativeness and innovation in theatre, that can also be useful for educational field. A forum theatre presentation will take place. The conference will be in Estonian and English and will be live streamed. The theatre section at Department of Visual Arts and Drama, Faculty of Fine Arts University of is giving their Creative National Forum the day before the official opening of, and in collaboration with, SAND International Festival of Performing Arts for a Young Audience. There will be several paralleled sessions of workshop conducted by staff from Faculty of Fine Arts, Faculty of Engineering and Science and from invited international guests. Among others are The Gob Squad Arts Collective giving one of the workshops, and a plenum talk about the project My Square Lady.